"Hi Shirley, a big THANK YOU from Germany to New Zealand for selling NZ Summerhill Leopard Regal to us. Since the last few years we try hard to establish a small but exquisite alpaca breed in our region. 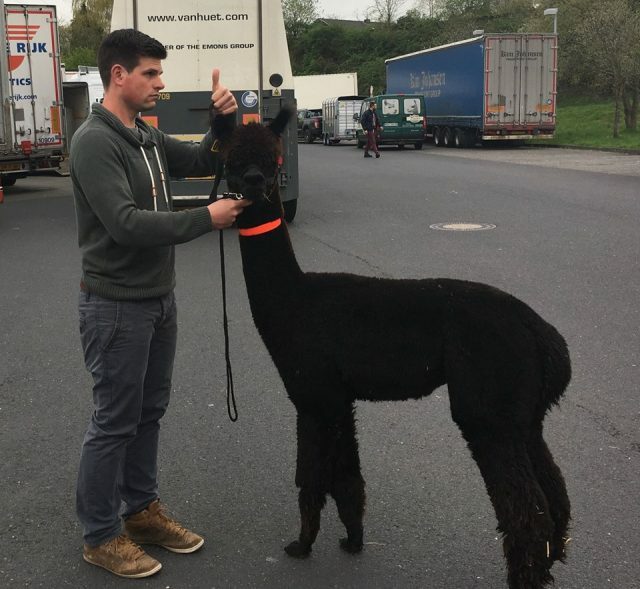 For that we travelled a lot across Germany to find suitable animals for the start that meet our expectations regarding fleece quality, stature and mainly physical health. Every animal has been inspected by me and my wife, who is a vet. Buying an animal from NewZealand 19.000 km away from home is somehow different. Not being able to travel that far for visiting one animal we had to rely on Shirleys photos and descriptions. But after seeing Regal here at our farm I must say that everything was perfectly in order, the alpaca came here as described by you. You also helped us a lot in getting all the medical examinations we asked for, assisted in insurance questions and kept us up to date during quarantine phase with a lot of photos and emails. 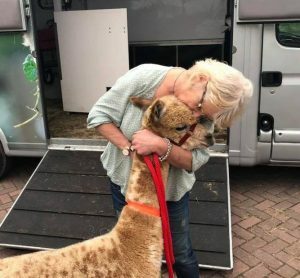 At the end we are very pleased with this awesome nice service and would always do it again and buy an alpaca from you, Shirley. 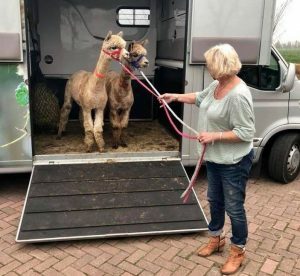 Thanks again, kind regards Christian Koletzko"
The warm welcome, the quality of the alpaca`s, the devotion Shirley and her team showed was very impressive. Like we had agreed, I could choose from a variation of price and quality animals and all the papiers that would make my pick easy, where present. Making a good decision was easy and very enjoyable. So now I have on my farm, two (very healthy) Leopard Appaloosa females (both pregnant) and a very stunning stud to be! Thank you Shirley for this fantastic experience! Great regards and hug, Anita Huls"
" Visiting NZ Summerhills for the first time. I ve had the great chance in visiting Shirley´s and Fliss´s wonderfull alpaca place last year in February. I extra flew in from Australia to visit the quarantine facilities and also to see NZ Summerhills where i already bout one stud male. Robert and Peter from Canchones organized the visit and Robert took part as we are good friends. Scanning through the young crias although the weather was very rainy was great pleasure. We choosed 3 Studmales and 2 females with great coulors. The deal we made was good for both of us. The first males arrived this spring and looked fantastic. Can’t wait to get the females this summer hopefully pregnant. See some pic from the visit. Great working with you. 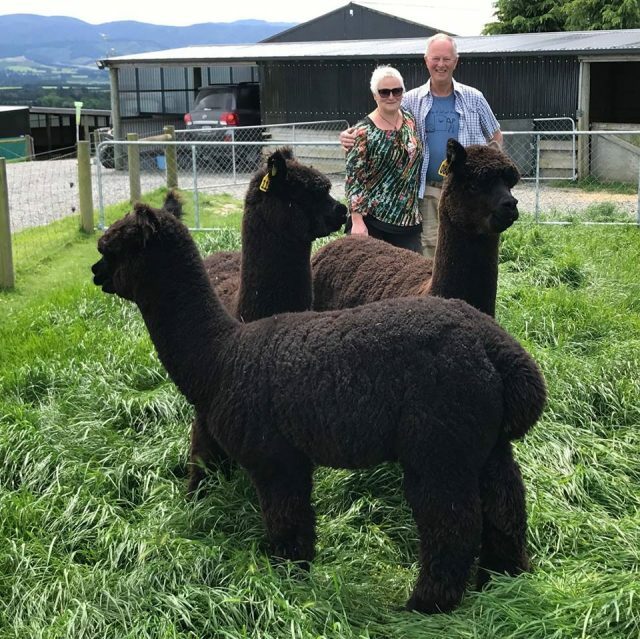 - Sven Hell"
"I purchased NZ Summerhill Darwin February 2017 after 1st viewing the gorgeous boy at the South Island Nationals in Christchurch NZ and thereafter at their beautiful alpaca stud. My daughter Soraya and I were given a lovely tour of the huge premises by Shirley and Fliss and the relaxed atmosphere reflected in the alpacas on site. Darwin is a beautiful natured young stud boy and his cria on the ground this year are just a joy. Kind Regards Kim Greenfield at Inca Lodge Alpacas." "We were looking for a blue black male with excellent genetics in his pedigree. 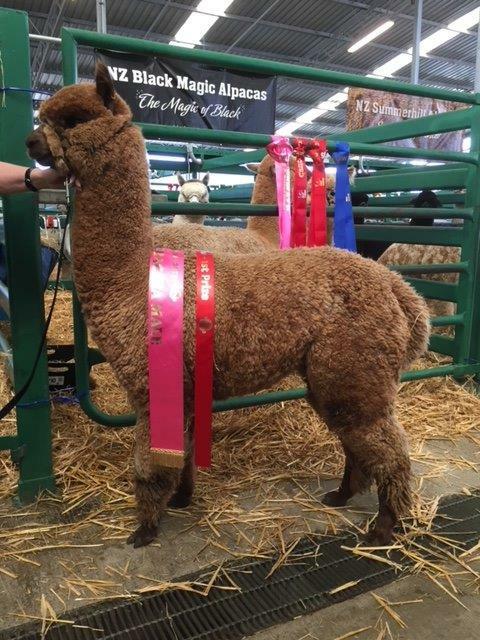 And we found an elite male that meets our requirements at NZ Black Magic Alpacas. It was very easy to work with Shirley. Really fast responses, detailed photos and good service till the alpaca left quarantine. They really care about their alpacas. “We were looking for a top Blue Black certified Male to take our herd up a significant number of notches and Shirley offered us a selection of potential young males from her NZ Black Magic sires. Shirley understood what we wanted to achieve and sent ahead potential sire information for us to consider prior to viewing them and when we arrived for viewing her hospitality was amazing, there was no rush, we had plenty of time for viewing and discussing the sires Shirley has selected as being suitable to meet our future breeding plans.